There are some destinations in this beautiful world that truly deserve the title of a paradise. Koh Samui is one such island. The place boasts of abundant natural beauty, crystal white sandy beaches, pristine ocean and warm locals. While on one side it boasts of internationally acclaimed spas and resorts serving an array of international cuisine, it is firmly grounded to its roots with the sumptuous street side eateries and humble backpacker shanties. This sharp contrast makes Koh Samui a must visit destination in the checklist of almost every traveler. Here are some of the best places to visit in Koh Samui that allows you to capture the essence of this majestic island destination. 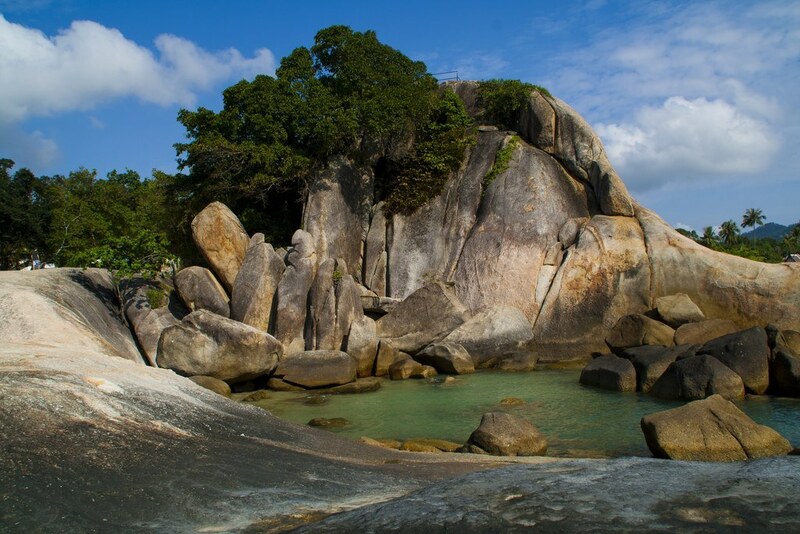 Hin Ta Hin Tai is a great place with some of the fascinating rock formations at the famous Lamai beach. Discovered by the locals not long ago, it attracts tourists from all parts of the world. People are amazed with the jaw- dropping creativity of nature forming artistic wonders in the form of rocks. A lot of legendary stories are associated with the formation of the rocks but none of them clearly explains the reason for this love of nature with these artistic creations. 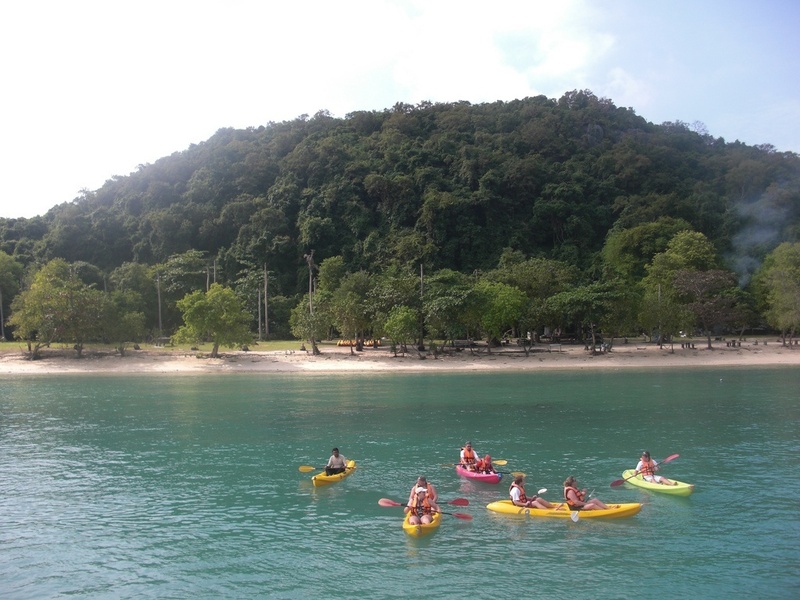 How to Reach: Hin Ta Hin Yai is located 11kms from the Chaweng beach. It is a travel of around 17 kms from the airport and being a famous tourist attraction, you can easily get any taxi t and fro from the place. 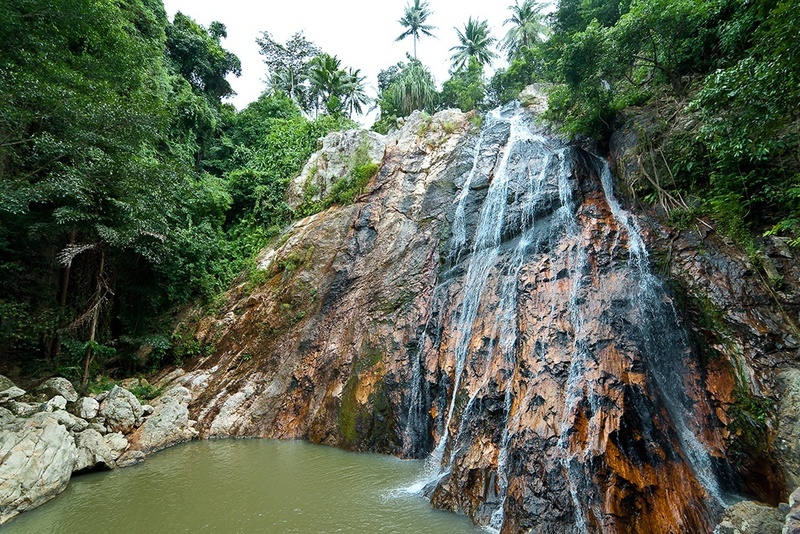 Agreed, Koh Samui has plenty of beautiful waterfalls, but Namuang waterfalls is the biggest jewels in the crown. Not only they are unbelievably beautiful, but the cascading flow of water is so pristine that it almost looks like a part of a paradisiacal heaven. Nam Tok Na Muang means purple waterfalls referring to the purple shade of the rocks that mesmerizes your senses. How to reach: Starting from Nathon, it’s a journey of 11kms. 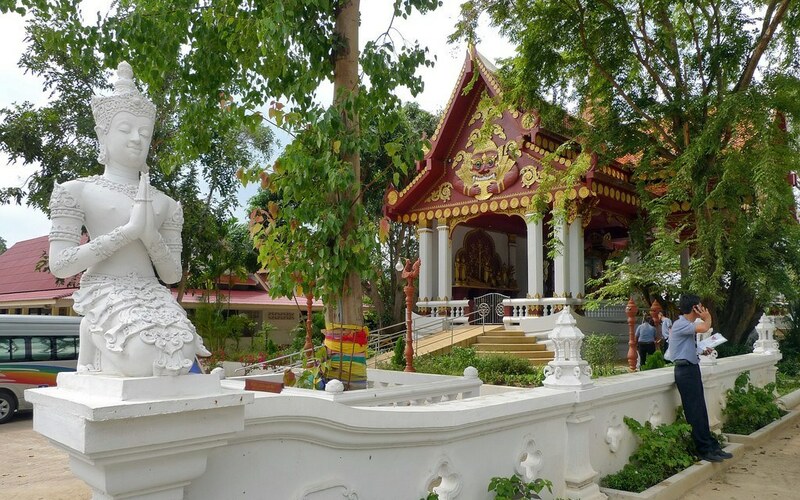 Its located in the inland mountains between Nathon and Hua Thanon. Note: There is no charge to see the waterfall but there are some notorious tourist guides that will try to ask for money to enter the waterfall area. Be informed and don’t pay them. 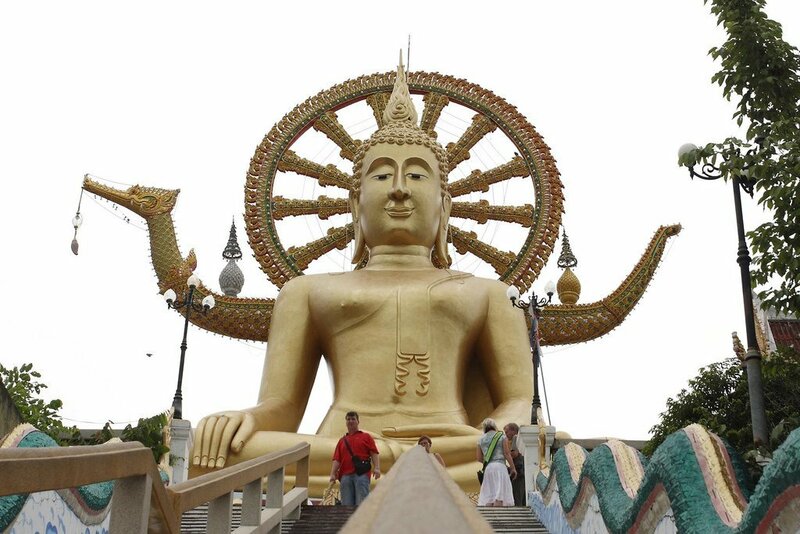 The north coast of the Samui is very famous for the Big Buddha statue and temple that proudly sits on the end of the Koh Samui’s north eastern corner. The majestic statue exudes an aura of serenity and envelopes the whole area. Besides, the place offers exceptional sea and beach views and makes for a perfect place to soak in the natural and spiritual tranquility. Best time to go: The temple is open throughout the day but its best to visit the place during the early morning hours to experience the cultural diversity of the place. This is the time when the locals come there to offer food and other offerings to the temple. How to reach: The statue is visible from several kilometers away and is very close to the airport. Any taxi will take you there easily. How to Reach: You can go to the Marine park only by government approved boat tours, speedboats and cruise ships. They are available on easy rentals. Not everyone can do what the snake wranglers do at the Snake Farm in Koh Samui. The daily shows of the scariest, deadly and beautiful reptiles are organized but watch only if you are not faint hearted. Other interesting shows held are that of Scorpion and Centipede. 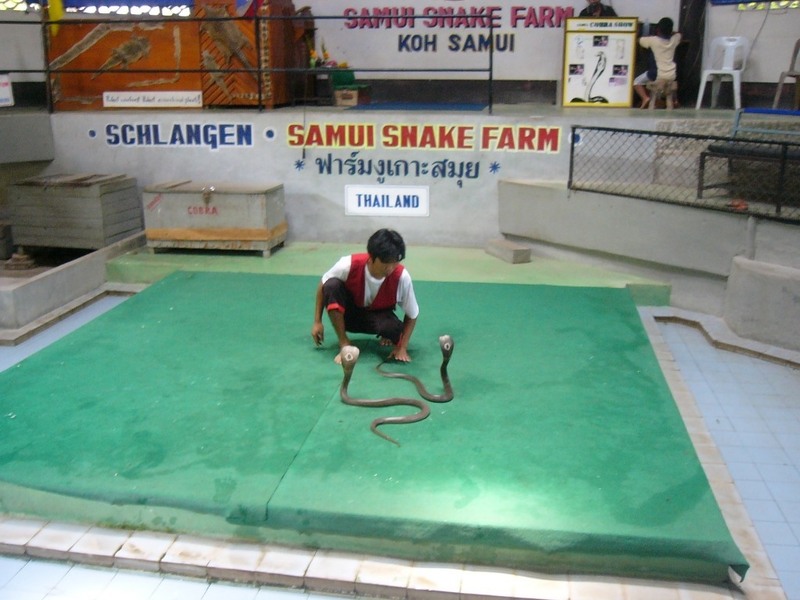 One of the exciting attractions at the snake farm are the cockfights, a traditional game of Thailand. How to Reach: It is located about 13 kilometers from Nathon Pier and is easily accessible by taxi. Probably the most favorable place for ladyboys all over the world is in Thailand. The acceptability is great and a lot of its credit goes to the ladyboys for their astounding entertainment and flawless feminity. These ladyboys are so feminine that most of the times it is hard to tell whether the beautiful chic paying attention to you is actually a lady or not. The cabaret shows by the Ladyboys at the Chaewng beach is a great way to relax and unwind. Best time to go: There are different cabaret groups with different show timings. But generally, the timings are late evenings around 8 pm. How to Reach: Most of the cabaret shows happen around the Chaweng beach road. You can also see a famous cabaret group at the Lamai beach in the evenings. The way Thai people look at death and rebirth of a soul is fascinating. They are not scared of death and rather look at it as a natural order of life. The mummified monk Loung Prodang’s upright sitting position might look scary at first glance but offers an interesting sight in the life and beliefs of the Thai culture and spirituality. You can find many mummified monks all around Thailand, but Wat Khunaram is one of the most revered. Best time to go: While the temple is open throughout the day. The best time is to visit during the early morning hours or late afternoon to witness the local devotees coming and offering prayers. How to Reach: It is located at the Ring road between Hua Thanon and Na Muang waterfalls. You can easily reach here with taxi. It’s around 6kms west of Lamai beach. The island of Koh Samui is not too big, therefore, most of the journeys here are of short duration. 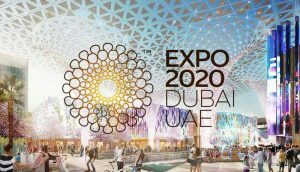 You can easily find a great range of transport options that will give you access to almost all the key attractions. You can rent a car, hire a bicycle to go around or opt for taxis and SongThaews (the pickup taxis) to enjoy all the attractions. So what are you waiting for? The majestic island of Koh Samui is waiting for you with its breathtaking attractions. Pack your bags and head to Koh Samui.